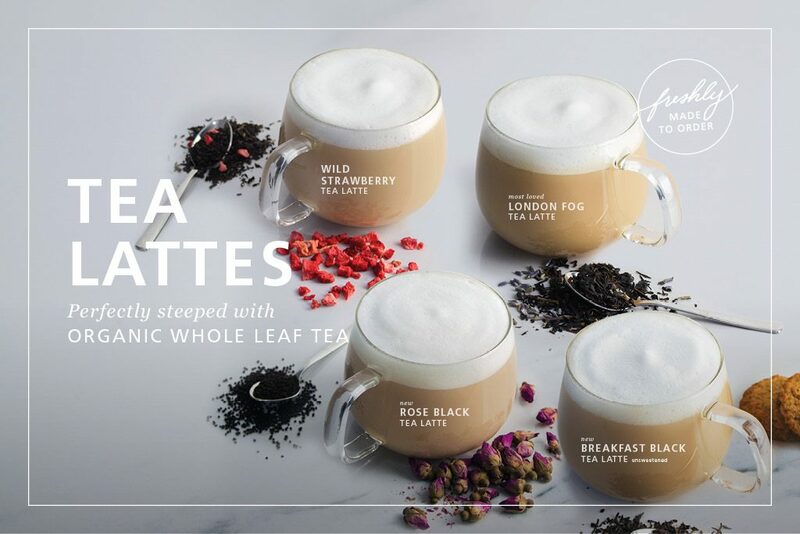 Discover Blenz’s specialty Tea Latte line up. Whether you like it simple, floral or fruity, we offer something for everyone! At Blenz, all Tea Lattes are made with the finest ingredients by hand, and fresh for every order. We don’t cut corners, nor use any premixes or powders. Each tea latte is steeped perfectly and made fresh for you every time! Our ever-so-popular Tea Latte is the London Fog! It is made with steeped earl grey tea infused with bergamot flavouring, silky steamed milk, and lightly sweetened with vanilla. Did you know the origin of Earl Grey tea? It comes from the 2nd Earl Grey, the British Prime Minister from the 1830s who allegedly received a gift of tea flavoured with bergamot. The Rose Black Tea Latte is one of our many favourites on the menu! The aroma of rose buds is a perfect way to relax. Our Rose Black Tea Latte is also known as the Royal Tea Latte. It is steeped with a combination of rose buds and full-bodied Latte Assam black tea, then blended with silky steamed milk, and lightly sweetened with vanilla. If you’re a fruity person, you’d love the Wild Strawberry Black Tea Latte! Its pleasant sweet scent of strawberries takes you to the strawberry fields in the Okanagan. The Wild Strawberry tea is a combination of a classic Indian Ceylon black tea and freeze dried strawberries. Then it’s blended with silky steamed milk, and lightly sweetened with vanilla. Not a fan of sweet Tea Lattes, no worries you can enjoy Tea Lattes plain. The Signature Blenz Breakfast Black Tea Latte is new at Blenz. It is meant to be enjoyed unsweetened or if you ever want to add your own touch of sweetener, you can do so!